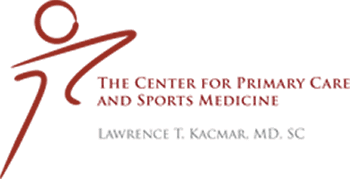 Dr. Lawrence Kacmar, MD, is a physician specializing in family medicine and sports medicine. 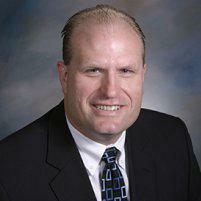 His clinic, the Center for Primary Care and Sports Medicine, serves Aurora, Illinois and the surrounding areas. Family medicine is just what the name implies: medical care for all members of the family. A doctor who specializes in family medicine might care for multiple generations in the same family and often builds patient relationships that last for many years. Family medicine also includes some sub-specialties such as adolescent or geriatric medicine, hospice medicine (end of life care), pain management, sleep medicine and sports medicine. Is Family Medicine a Specialty? The specialty of family medicine was first recognized in 1969. Prior to WWII, most doctors were generalists, but sub-specialties grew dramatically after the war and fewer general practitioners were available to provide basic medical care. Family medicine specialists complete four years of medical school and at least three years of residency. Many also complete an extended period of training known as a fellowship. The majority of family medicine doctors are board-certified in that field. Family medicine doctors provide primary care to patients of both sexes and all ages. The focus is on acute, chronic and preventive care, and treatment of the whole patient. They manage chronic illness, administer immunizations, and treat minor injuries. Some family medicine specialists have a particular area of interest like weight management. Others provide obstetric services and deliver babies. Their training is broad and includes instruction in a wide range of areas. Do Family Medicine Doctors Have Specialized Functions? One of the most important responsibilities of a family doctor is the coordination of medical care. The family doctor makes referrals to specialists but continues to coordinate care and oversee all medical care activities. Family doctors provide what is called a patient medical home. They get copies of records from specialists and incorporate the specialists' recommendation into day-to-day care. They also ensure that things don't get overlooked when the responsibility for care is shared among several physicians.